My name is Hal and I'm the grandfather of the most amazing four year old boy and these are the gift ideas that I've picked out for boys his age. If you're looking for the best gifts for 4 year old boys, whether it be for Christmas or their birthday, I believe this gift list going to bless you. IN A HURRY? 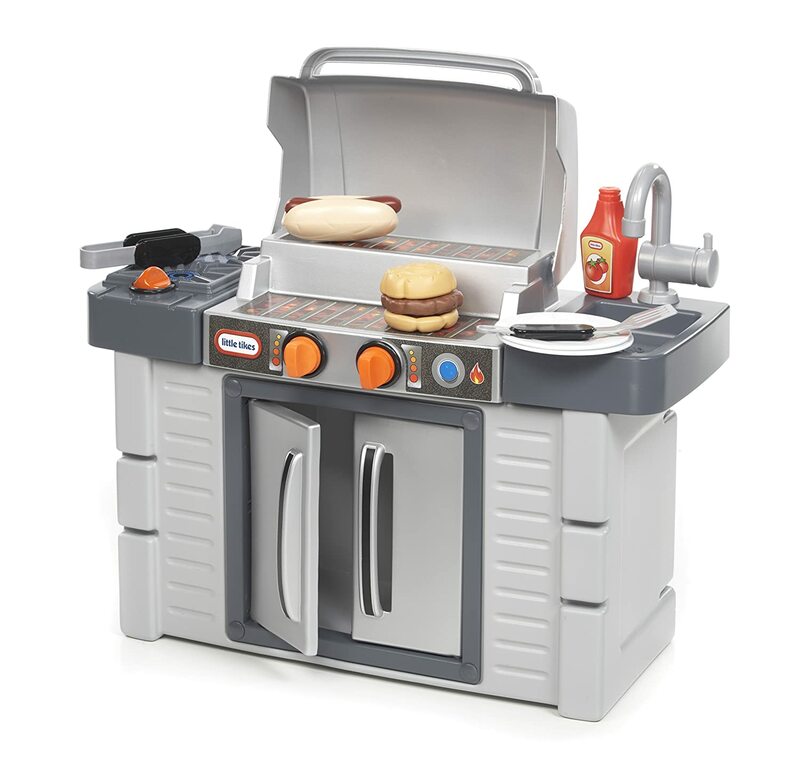 >> SEE TOP GIFT LIST HERE! With the help of my 4 year old grandson, we've put together a gift list that we think is going to make your four year old boys very happy! I have tried to include something for everyone and every budget because I know how diverse our interests and financial situations can be. I've got some of the most popular toys from their favorite TV shows as well as educational toys and outdoor toys for the adventurer! 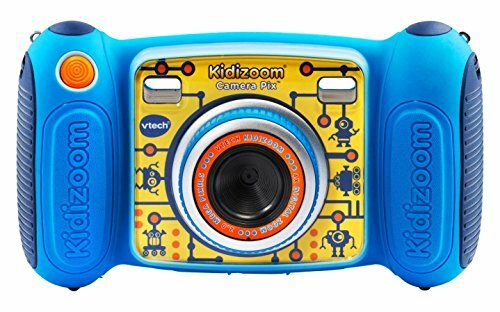 I know that you're going to find the coolest gifts for four year old boys on your list! I want to give you my favorite top gifts first and foremost and then beneath these you'll find more in-depth toy and gift ideas for specific needs and interests. I don't know about you, but I love giving toys to four year old boys because I want to play with them too! This is such a Cool Grocery Shopping experience for little boys!! I know this is Top on my Christmas list this year! I know because I couldn't get him away from it in the store, my kids didn't want to stop play with this adorable Shop N Learn Checkout!! 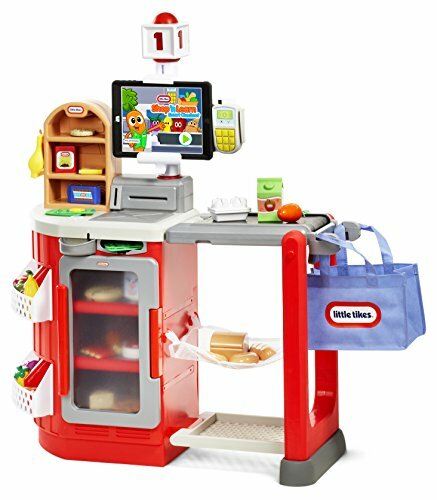 The Little Tikes Smart Checkout will be such a huge hit this Christmas Season! 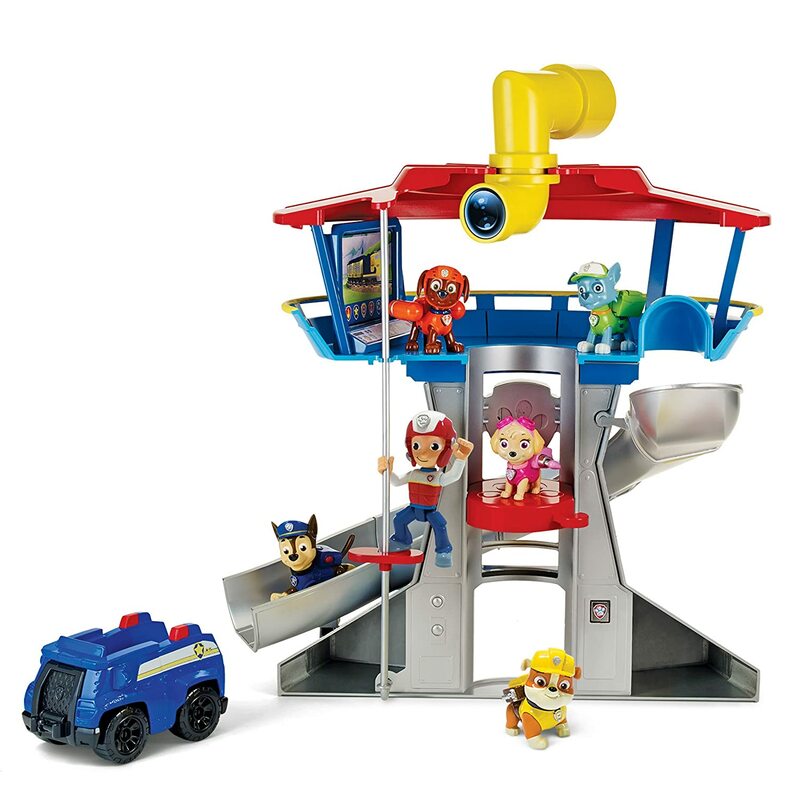 My four year old grandson absolutely loves his Lookout Tower because it's the headquarters for his favorite Paw Patrol pup toys. 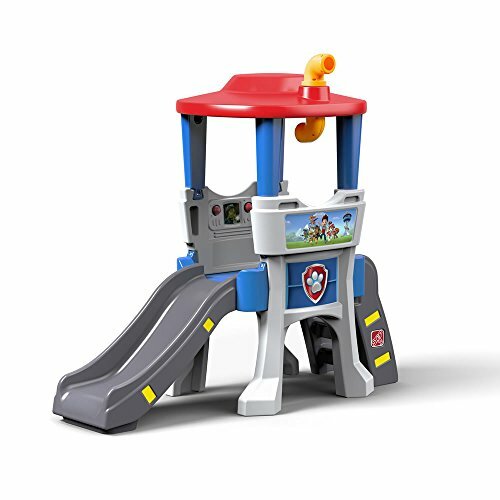 The Lookout Tower comes with a Chase vehicle and figure but my grandson already owns a few of the other pups that fit inside this set too. There's lights, sounds and lots of adventure to be had with the slide, fire pole and working elevator. The HQ has plenty of room to hold all the pups and Ryder too! 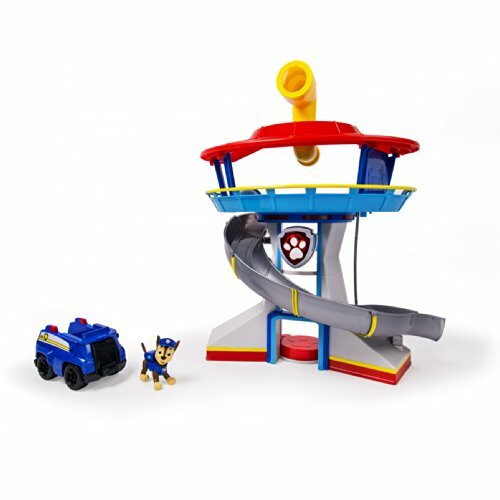 Really Awesome Paw Patrol Toys for 4 Yr Old Boys! These are some of the coolest gifts to buy a four year old who loves Paw Patrol (which pretty much is every four year old at the moment). 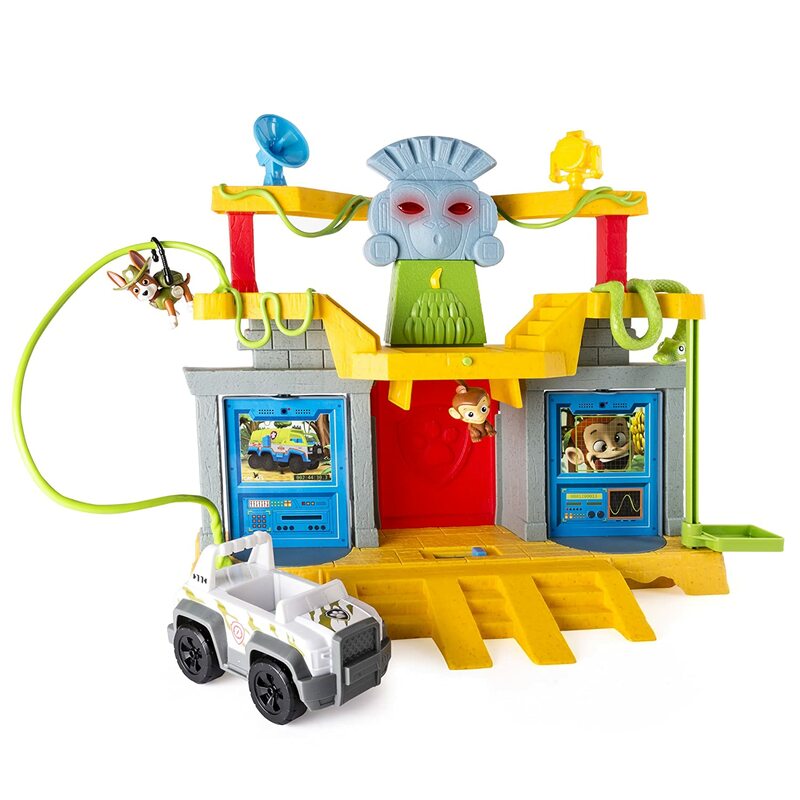 The Monkey Temple Playset includes the newest member of the Paw Patrol, Tracker and his vehicle toy!! The Paw Patrol Air Patroller is Awesome! The Air Patroller is how the Paw Patrol takes flight on rescue missions they can't reach by vehicle! ​Complete with Robo Dog to drive the plane! 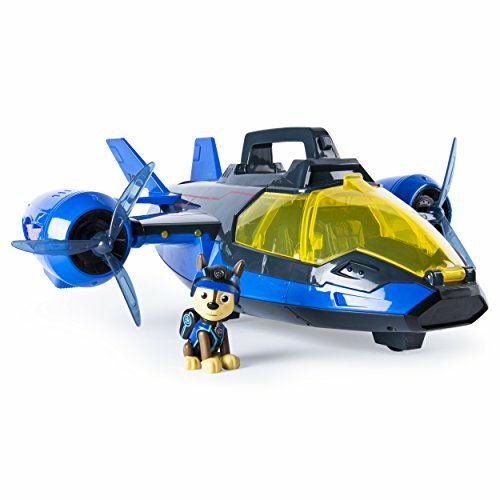 The Air Patroller plane comes with plenty of room for passengers, my nephew can get all his pups in the back of the plane and Ryder can sit up front with Robo Dog too. 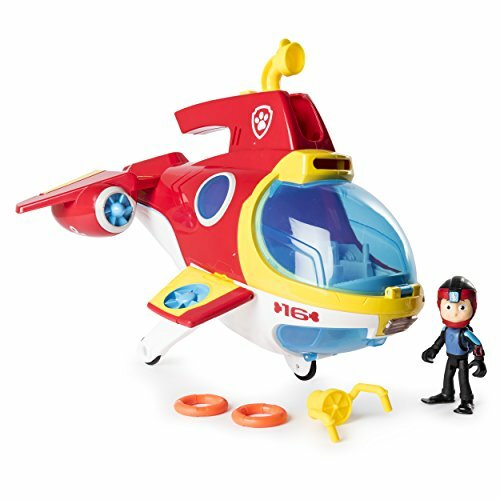 This is one of the most popular Paw Patrol Toys for 4 year old boy because its got real engine noises, working lights and lots of room for the whole pack to save the day. ​These Half Shell Heroes are the perfect gift for four year old boys because it is geared towards their age. 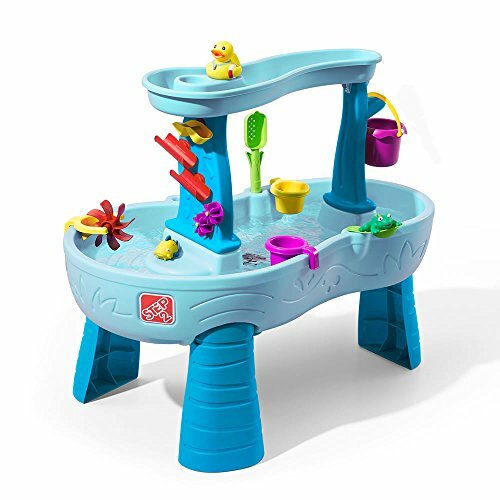 With so much entertainment packed inside this sewer play set it will keep your four year old busy having fun. Michelangelo and Splinter are included. More figures are available. 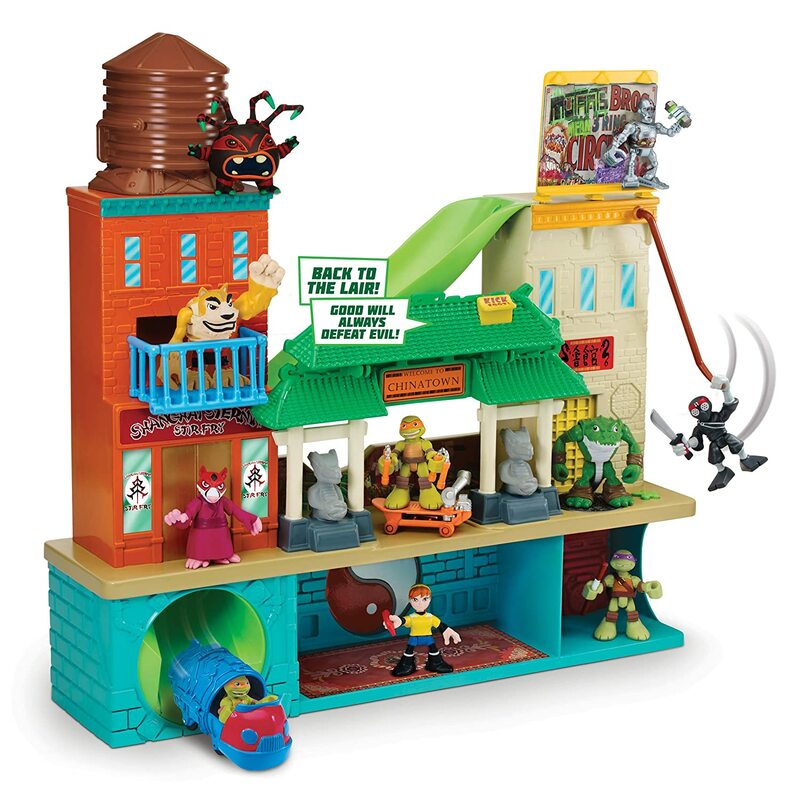 There are so many things to do inside the Teenage Mutant Ninja Turtles Pre-Cool Half Shell Heroes Sewer Lair Playset; there are a lot of rooms and a slide that goes from the top to the bottom. Half Shell Heroes Are Cool Gifts For 4 Yr Old Boys! Half Shell Heroes are the best gifts for a 4 year old boy because they are designed with their age in mind! 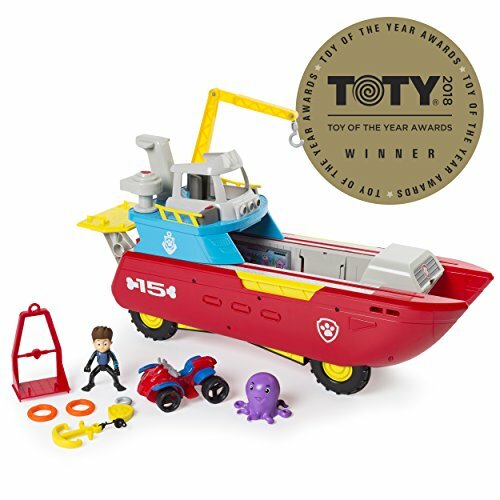 The little action figures are perfect for smaller hands and the play sets and vehicles have lots of action packed inside. 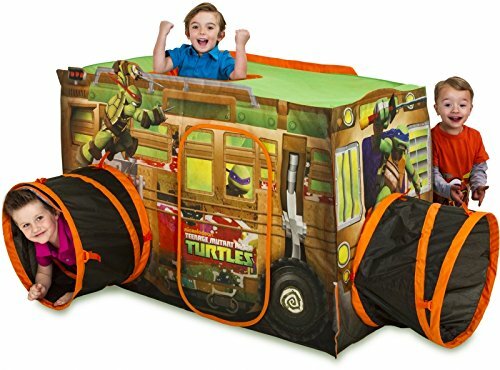 My four year old grandson can sit there for a long time playing with his Half Shell Hero toys, the Sewer and the ShellRaiser Van are his favorite and they do include one Ninja Turtle action figure! 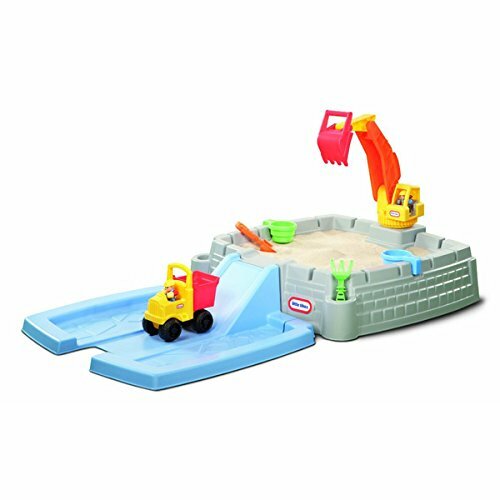 LITTLE TIKES BIG DIGGER SANDBOX IS A COOL GIFT IDEA! 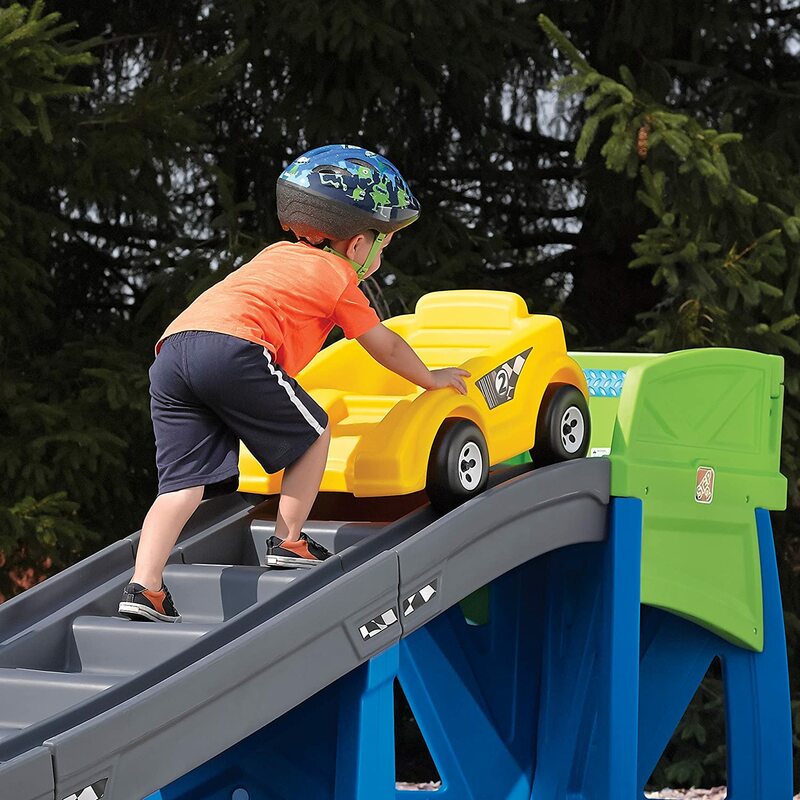 The Little Tikes Big Digger Sandbox is a super fun toy for boys age four. 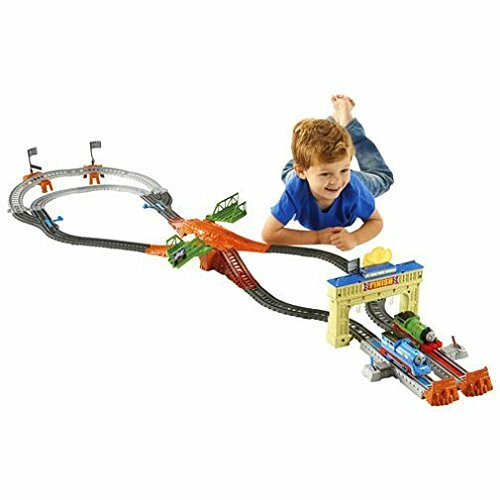 I mean look at all it has to offer, it's got a track & crane (always a good gift) and a whole construction area to play with. 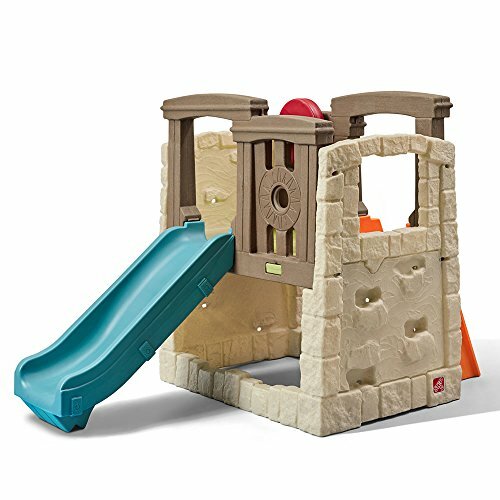 This play set is a busy toy for a four year old boy because of all the entertainment built in. We love Little Tikes Toys. 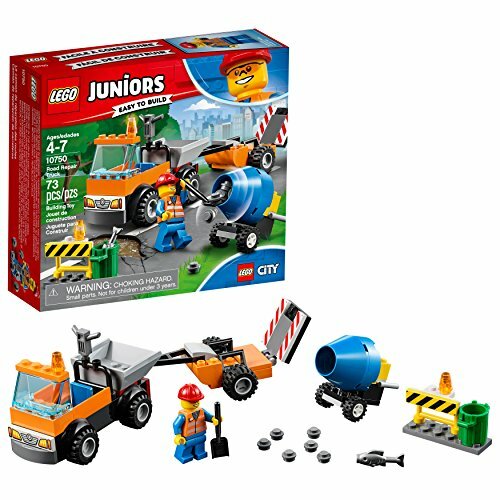 This Set comes with easy to grip vehicles that hold and dump sand. 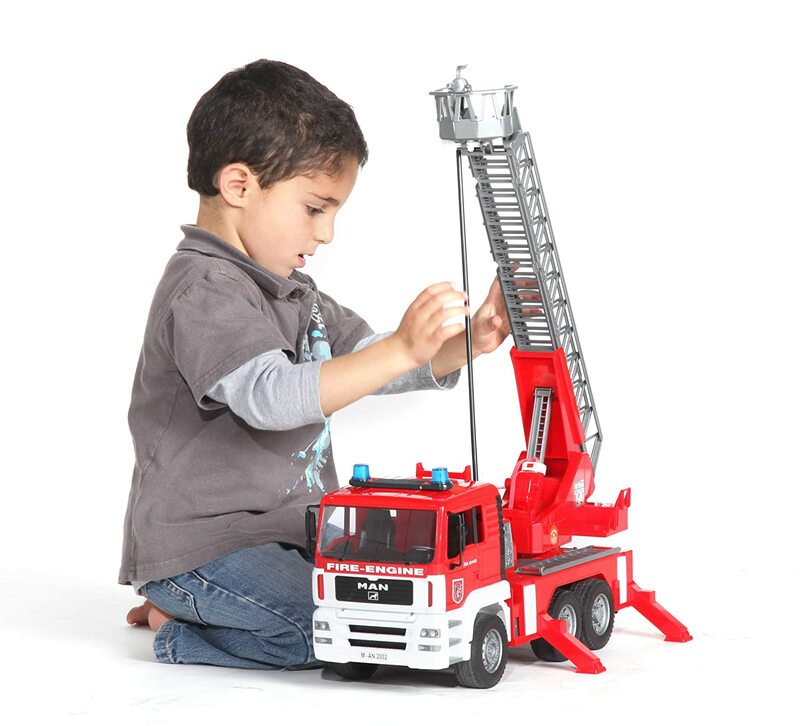 There is a giant working crane at the top, there is so much fun packed into this toy that you'll be very happy with your investment. 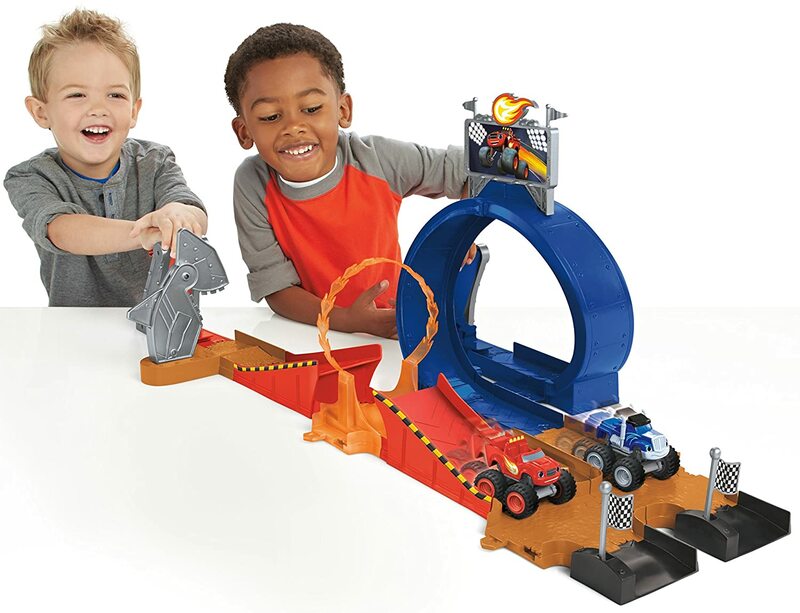 Four year old boys absolutely love wooden trains and train tracks and this Train Table is perfect because it sets the scene for lots of imaginary play. 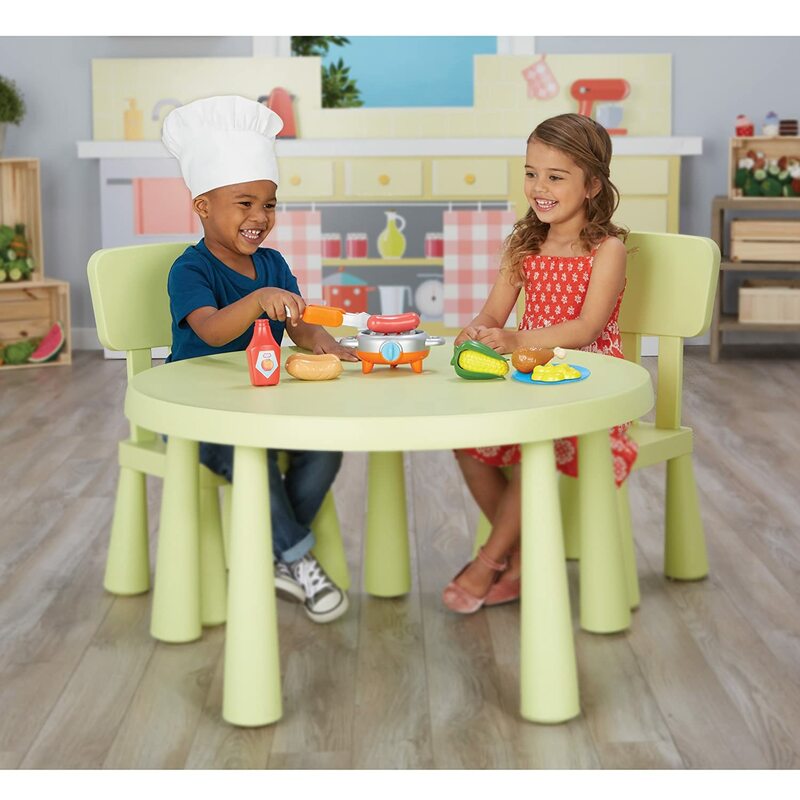 This KidKraft train table has plenty of fun built right in for hours of busy play. My 4 year old grandson will play at his wooden trains for hours across this thing. There is plenty of storage underneath for spares tracks, parts and trains because it comes with 3 bins that fit nicely away. Playing trains is one of those activities that kids enjoy and dads too! I have come to learn what a big part toys can make in a child’s life when they are just starting to grow up. I remember having spent all those many hours shopping and checking out toys. 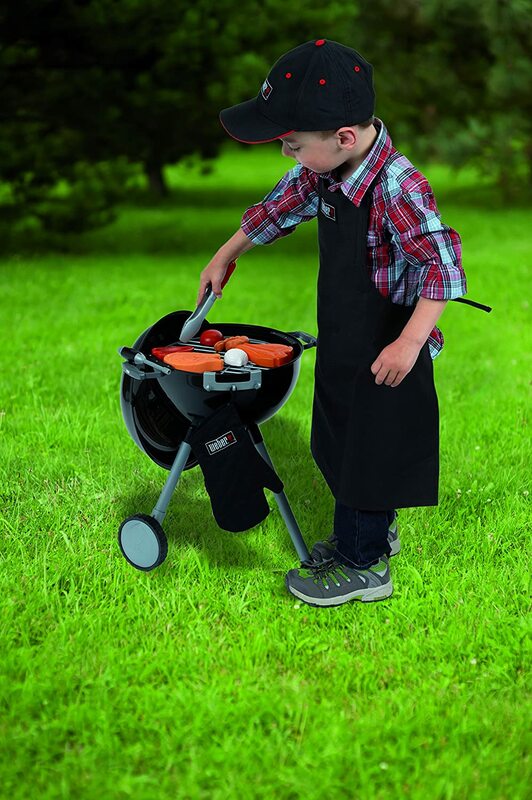 These are some of the great Outdoor Toys our kids love! I feel that I have become a pretty good judge of children's toys, and I’ve come to know the top toys. Toys play such an important part in a child’s life. It's important for kids to get outside and play. Here is some of our favorites! Great Way for 4 Yr Old Boys to Get Exercise!! 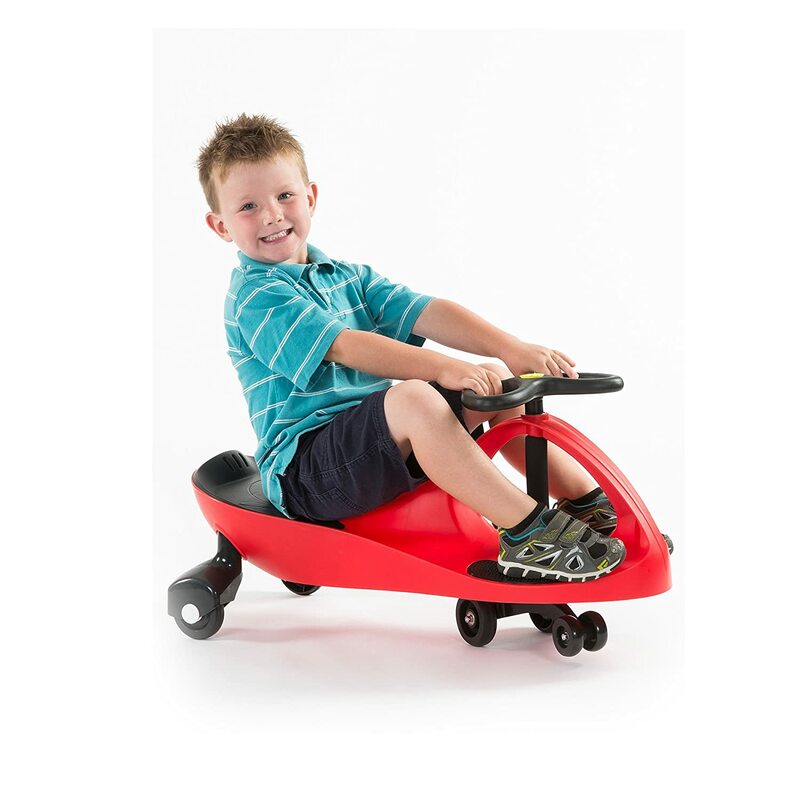 The Plasma car is a best selling ride-on for 4 year old boys! 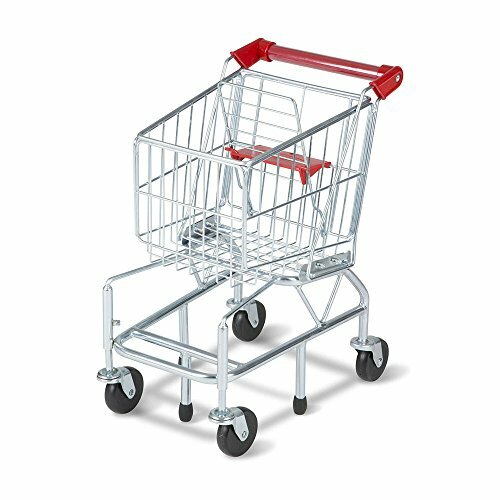 This little self-propelled vehicle will take them all over the place with it's easy to handle steering and smooth cruising ability. The easy operation of the vehicle allows even a four year old boy to drive it with ease. It does work best outside or on hard surfaces indoors. 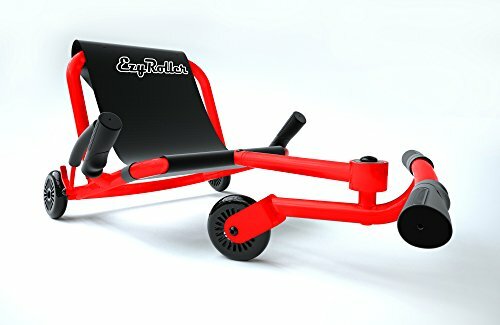 This riding toy is Winner of several awards - this is one gift idea that you will not regret but if you have two kids around the same age - you need TWO because sharing is not going to happen with a toy this awesome. 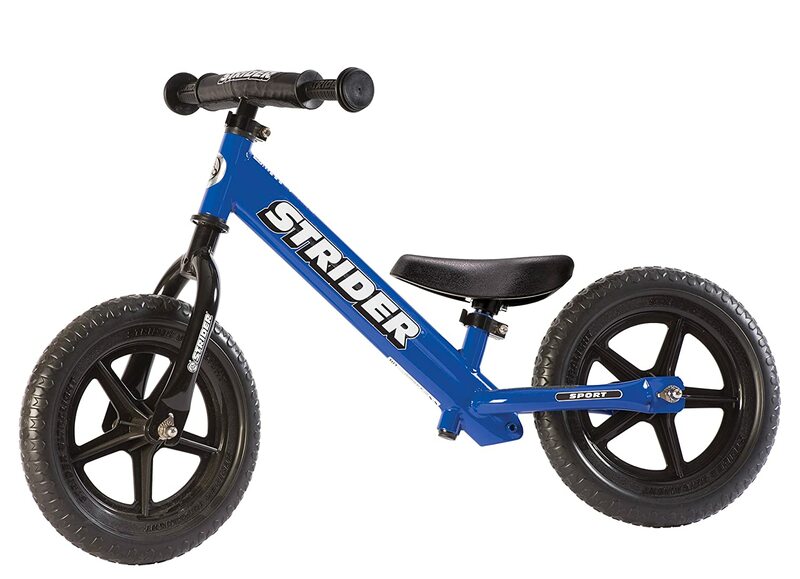 I love buying riding toys for kids, especially for boys. Boys always seem to have so much energy. I can’t always keep up. Lol. 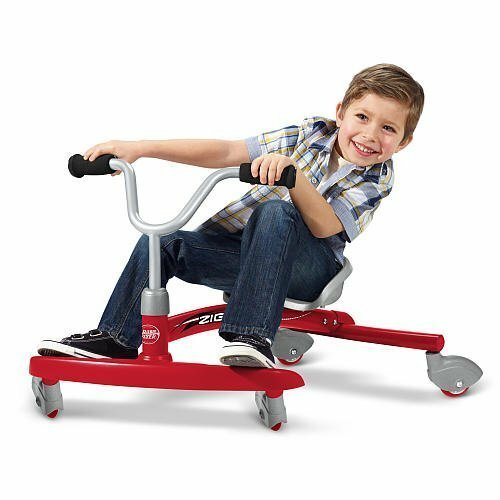 Ride on toys are a great way for them to play hard and use up some of that energy. Little boys need Ride On Toys and it’s always good for them to get outside and play. 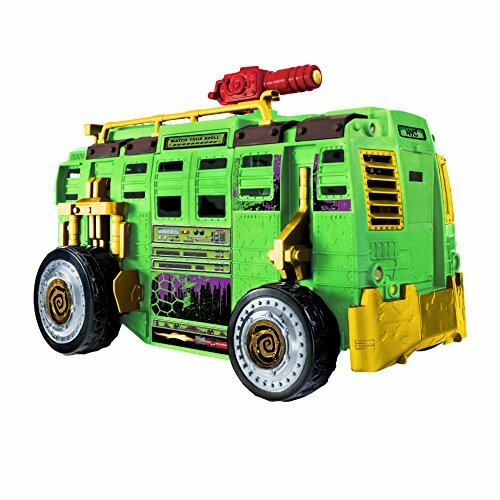 Blaze Super Stunts Vehicle - So Awesome!! 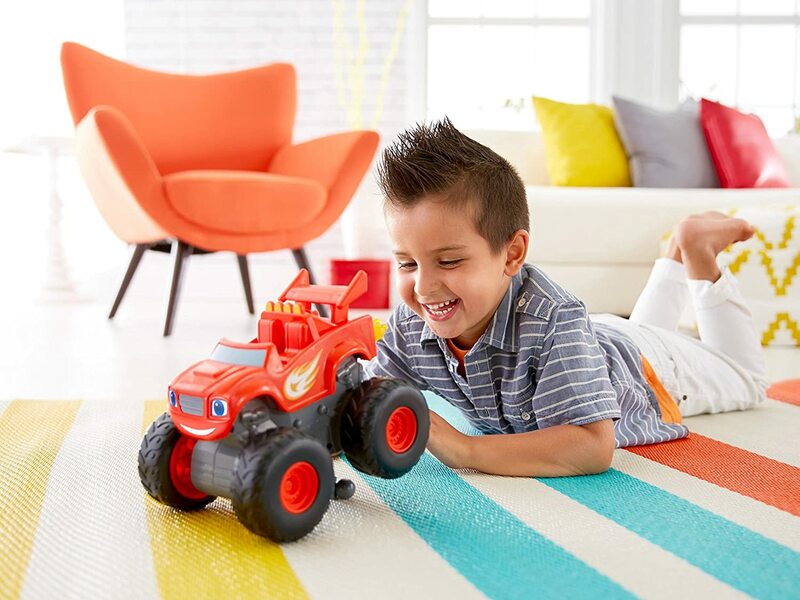 The Fisher Price Blaze and the Monster Machines Stunt Vehicle is one of the coolest toys for four year old boys. Press down on his rear spoiler and watch him take off and do stunts! My 4 year old grandson loves Blaze and the Monster Machines and this stunt vehicle is so realistic to what the real Blaze does in the show. 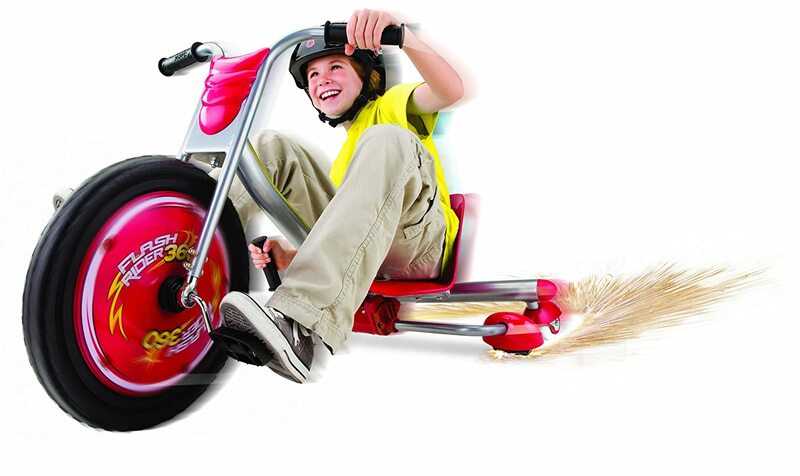 Blaze does ​side-wheelies, back-wheelies and a 360 Degree spin! It's a must have on every 4 yr old boys wish list! 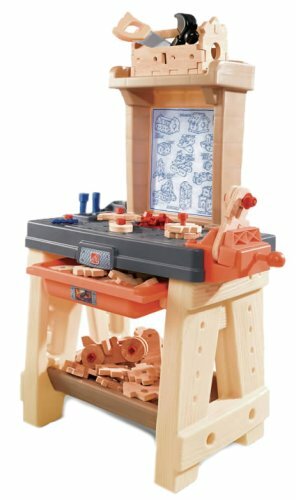 This Workbench Toy is a Cool GIft Idea! 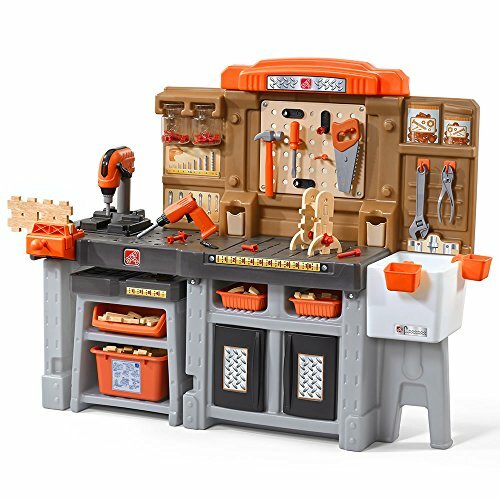 The Black and Decker Junior Power Tool Workshop is my favorite gift for four year old boys because I am a woodworker myself. I have my own power tool area in the garage and I wanted to get my four year old grandson one of his own. 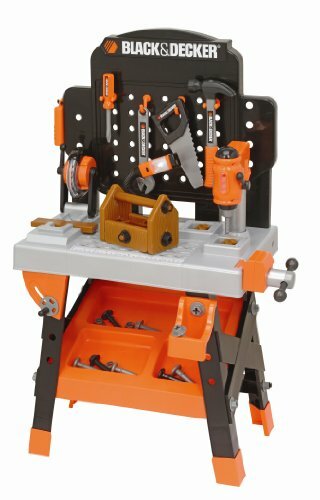 This one comes with lots of tools, nuts, bolts and storage area. 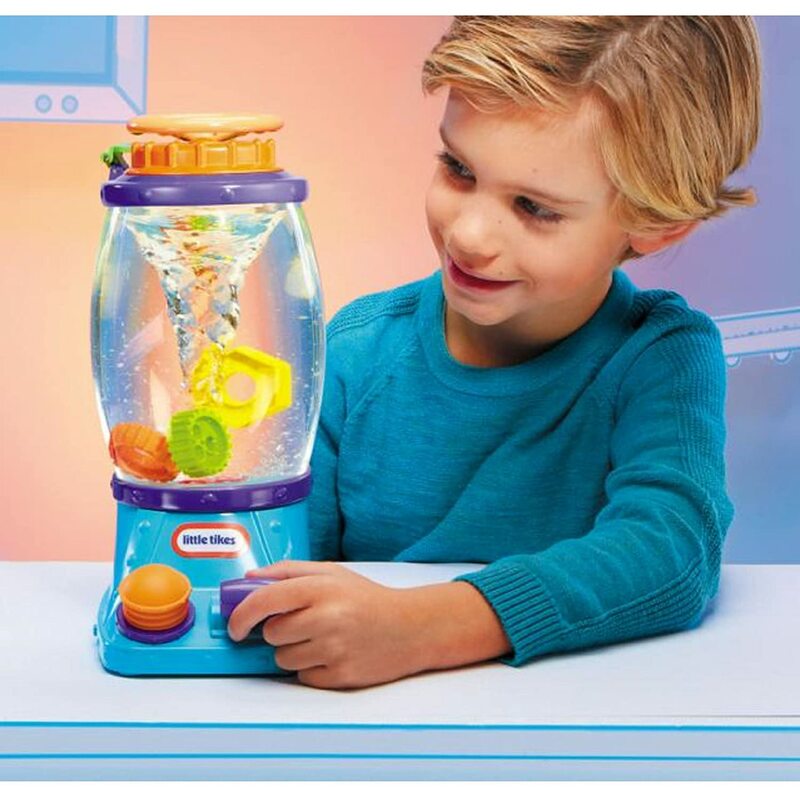 It has realistic sounds and look and it will keep a 4 yr old boy very busy. Set it up in his room or out in the garage next to daddy's or papas. 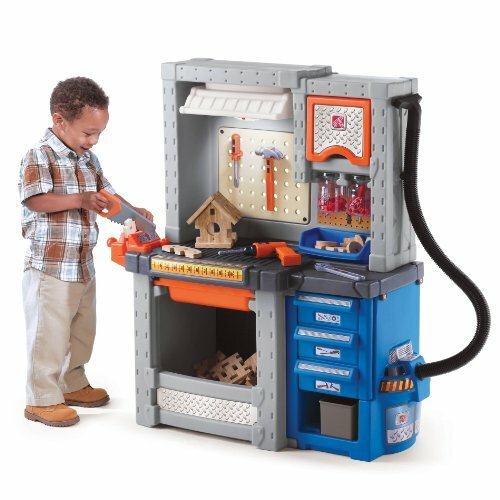 Every little boy should have his own Tools and Workbench at age four. 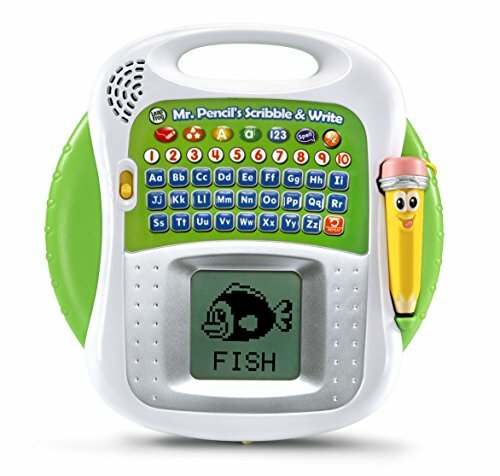 LEAPFROG SCRIBBLE AND WRITE - A Learning GIft! Kids can learn stroke-by-stroke on how to Begin to Write their letters. They trace over and follow the lights on the screen of this tablet to trace those letters and numbers. Children can learn, upper-and lower case letters and numbers from 1-10. It comes with a stylus, which helps in the development of a child’s grip, strength, and dexterity and it’s good for both right and left hands. 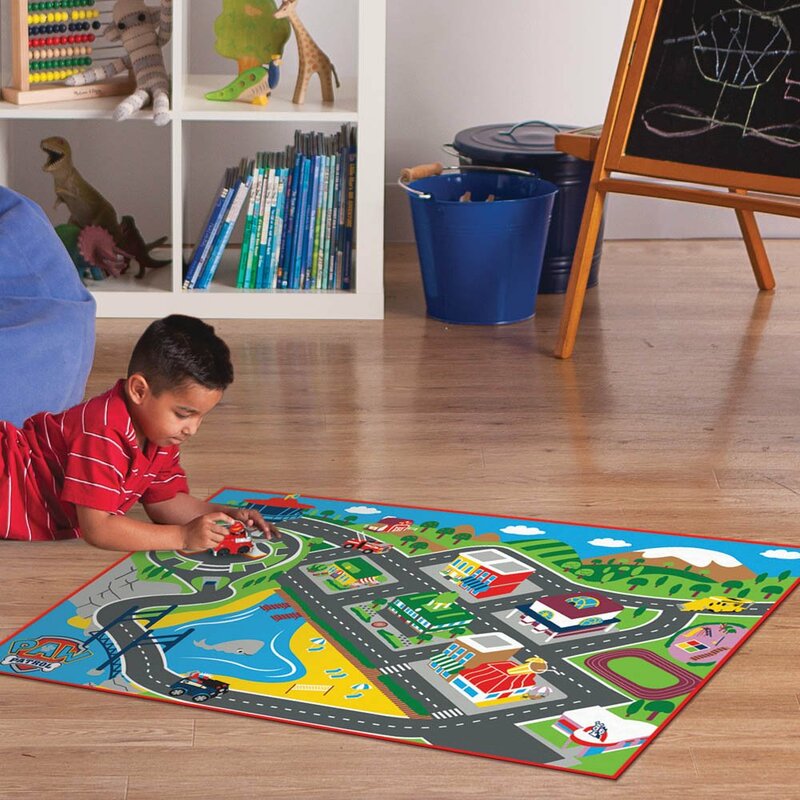 It has a level switch that allows you to control the level of challenge; from learning-to scribble and then advancing on to the tracing and letter strokes. It has a sliding eraser so that you can clear the viewing window and then start to work on their next letter or number. 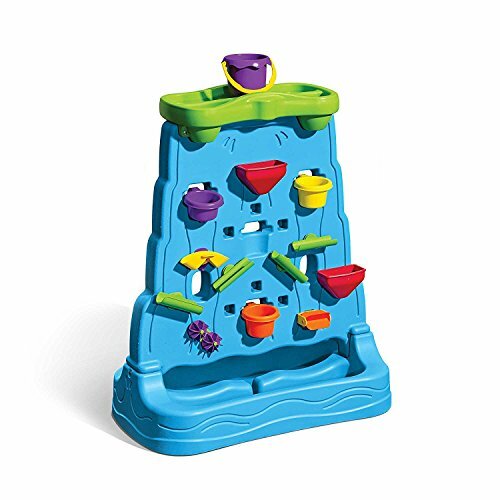 ​I really love LeapFrog products and this one is just the perfect learning toy for a 4-year-old boy. 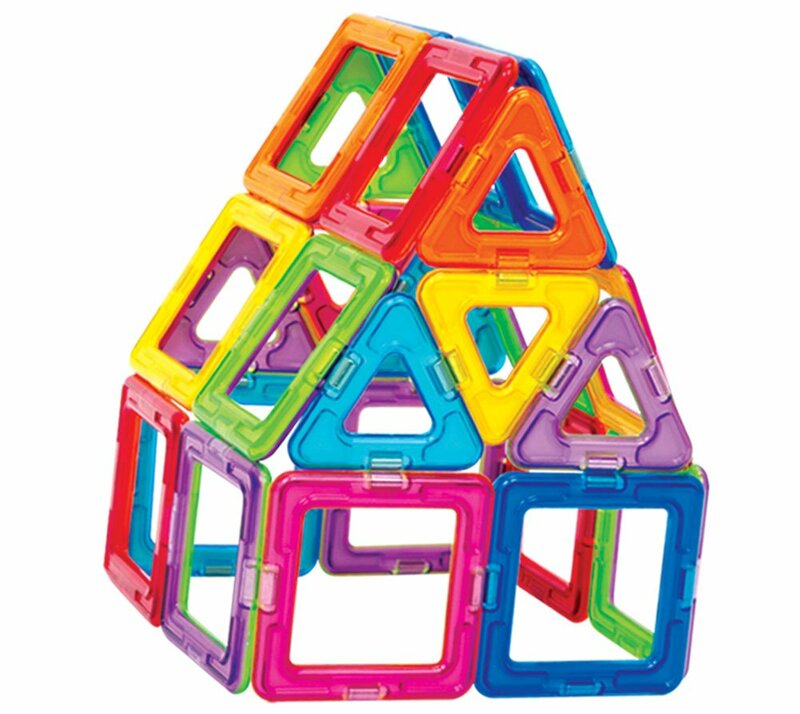 I’ve never seen so much enthusiasm and fun in my Grandchildren's playtime, then what the Magna-Tiles building pieces creates for them. There is so much versatility with all their different powerful magnetic pieces of squares, triangles, and pentagons. The sets are truly easy to use right out of the box. The magnets are intelligently designed into multi color high-grade ABS plastic forms. Pieces always attract, never repel, so the moment any two pieces touch they are connected. 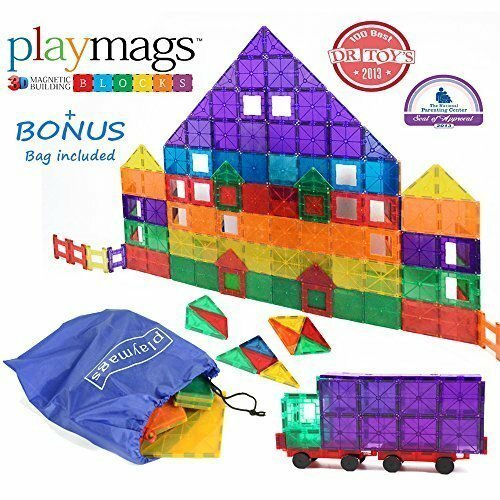 Manipulating these magical colorful Magnetic Magna-Tiles pieces is not only a great tool for education, but will also help to create a lot of fun time! Cool Character Underwear for 4 yr old boys! Boys at this age love having their favorite characters on their Underwear. Going to the potty is a big deal at this age, whether you're four year old is a pro or just learning the ropes. Underwear are a cool gift idea because they have their favorite guys on them and serve a purpose! Paw Patrol, Blaze and the Monster Machines and Nemo or some of my grandsons favorite picks! We love the Step2 Toys at our house. They are made to last, and we have had them forever! Here is another great toy that the little ones love. Children love to scoop and pour water on this Waterfall Wall. The water goes through funnels and spinners as it flows down the waterfall wall. 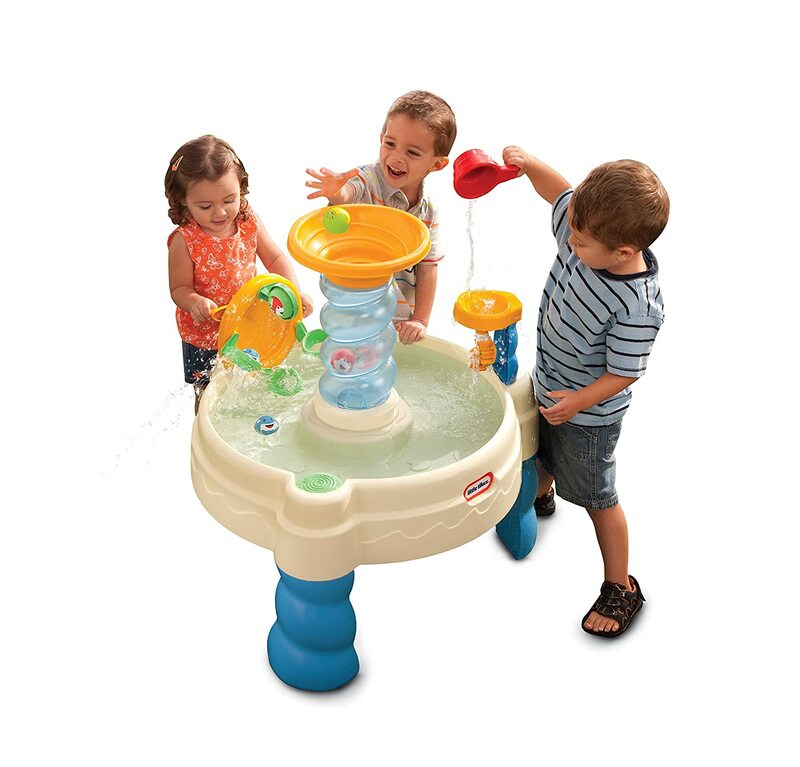 The Waterfall Discovery Table is a very popular toy for kids. 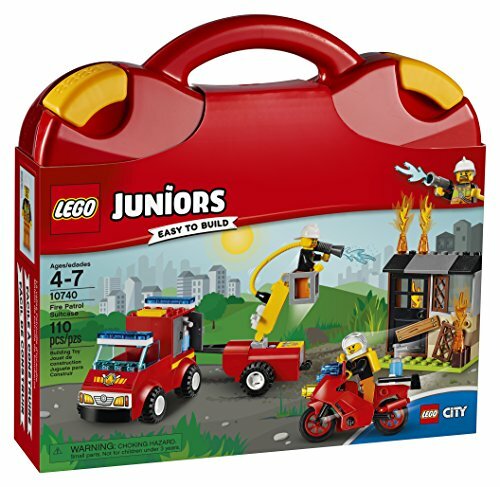 Lego Juniors Set Is A Good Gift For A 4 Year Old Boy! 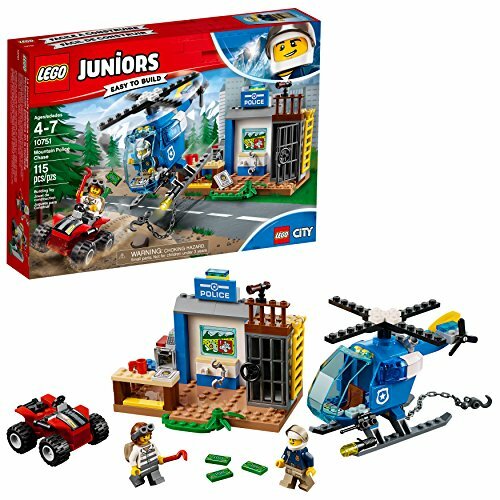 If you are looking for a gift for 4 year old boy, than there is no better place to look then through these LEGO Junior Sets. 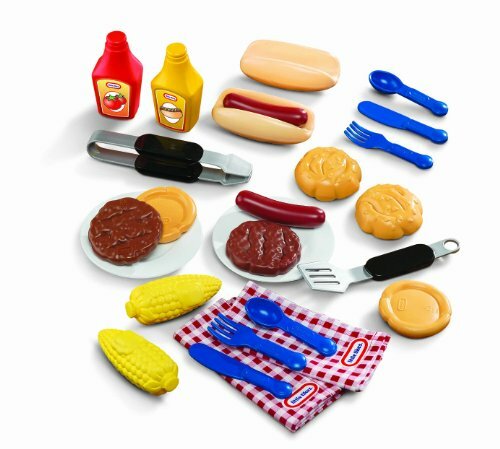 These sets are a perfect way to help a young child learn and develop new ideas of their own. 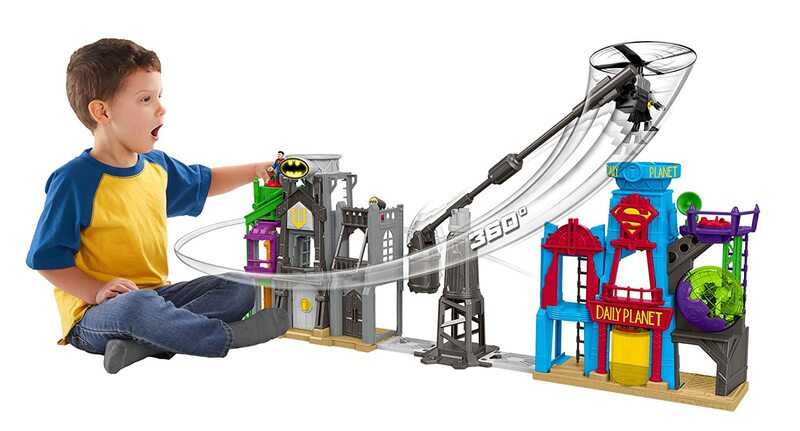 With these sets they can create all kinds of things like cars, trucks, buildings, houses, and construction machinery. Children young or old love to create their own little micro world by connecting these fun blocks. Any of these sets would make a perfect gift for any youngster with a creative mind. All little boys age 4 love to play Doctor, and the Pretend & Play Doctor Set is the number one toy Medical kit, on the toy market today. This is such a great set for any young child to help them pretend to be the doctor and it’s also a perfect way to ease the child’s anxieties about their next doctor visits. ​The set come with just about everything you would see at the real Doctor’s office. 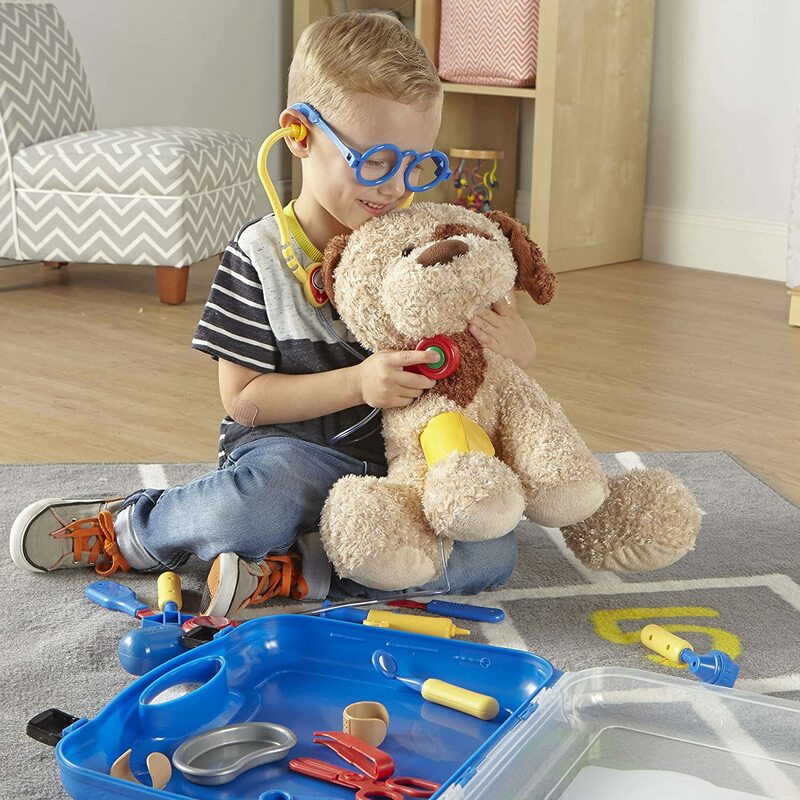 The Learning Resources Pretend and Play Doctor Set, comes with 19 different pieces for little doctors to help their patients. Board games come in a lot of different ways, some have spinners, dice, decks of cards, some just require simple lines drawn on a piece of scrap paper. Games come in all different forms and many are learning games for boys age 4. 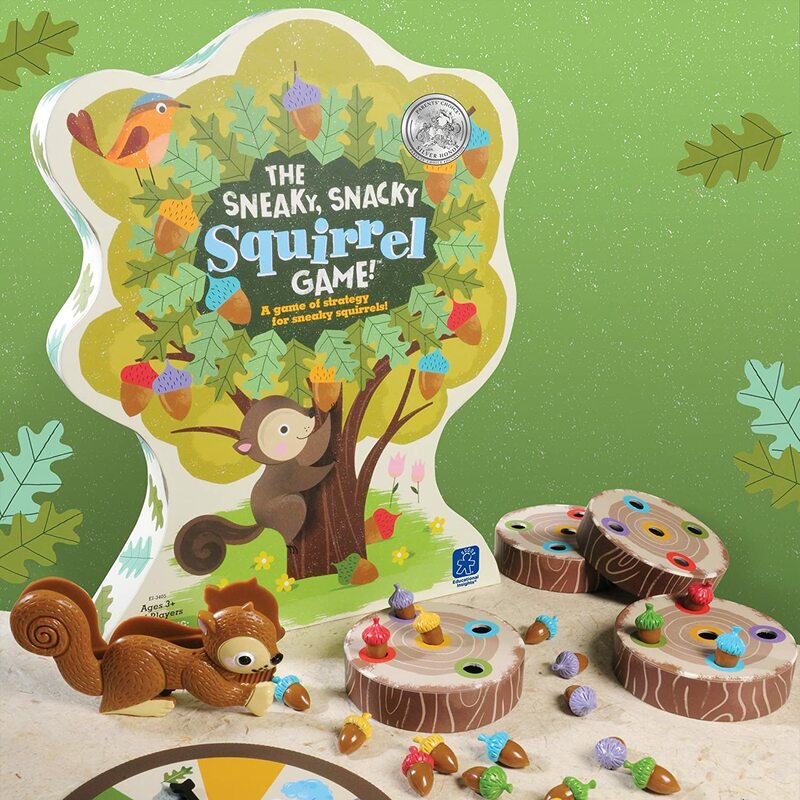 You’ll find many great games to choose from, some of these games for learning through education and having fun, and some just for real fun playtime! 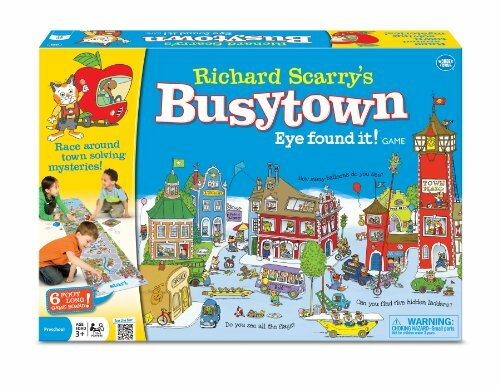 We love to play Board Games with our kids. 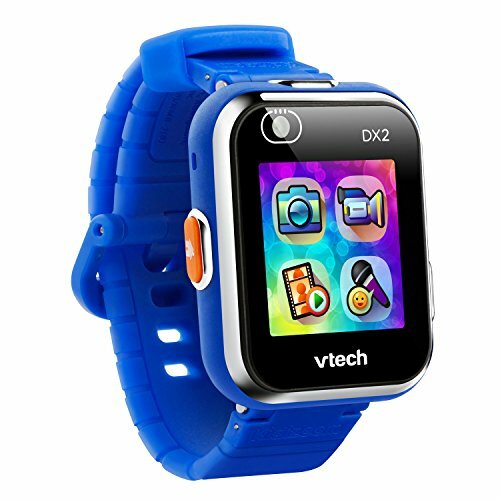 This is a great learning toy made by VTech, one that is a sure way to teach children rhythm, tempo and melody. Children can learn through music, as they can sing along with fun songs. The Learning Tunes Karaoke also comes with 40+ different recognizable children’s songs. Kids can join in and sing along while using the microphone. 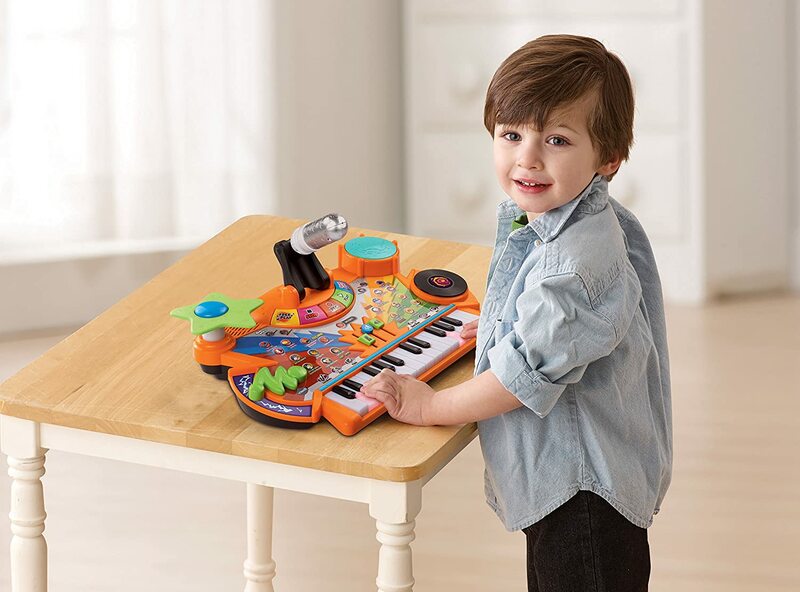 Overall this is just a great learning toy for any young child who has an interest in music. 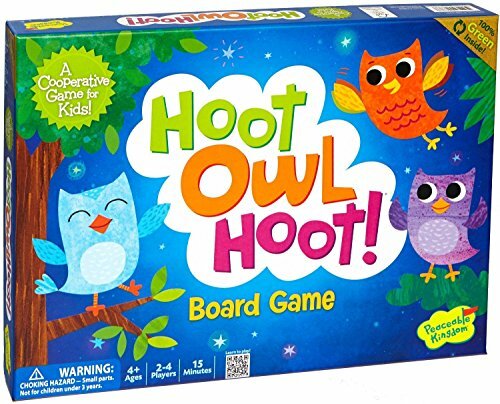 This is one sure way to create a load of fun time for them as they sing along and play with their friends! Real microphone and voice changer. 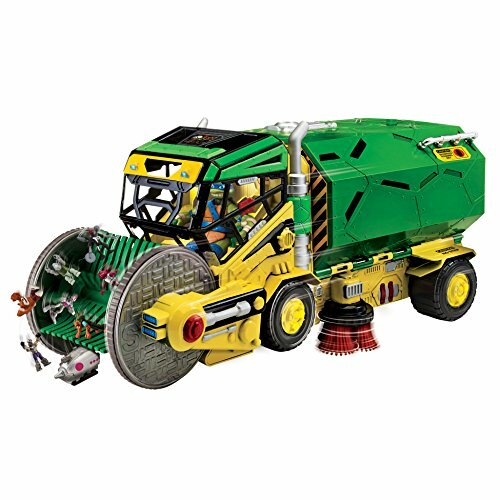 These Bruder Trucks are such awesome toys, I know because my grandkids have several of them and I’m really amazed at all the fun they have. 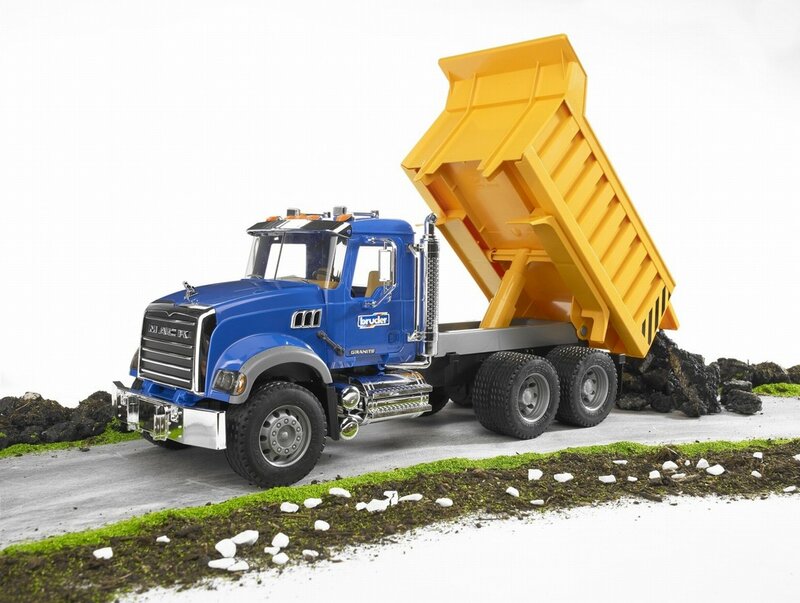 These Trucks soar above all other toy trucks because they are so well made, with very realistic details and functioning parts. The Bruder Trucks are made out of high-quality, fade-resistance ABS plastic, they have no glue and no screws and comes with rubber- like wheels for better traction. I remember the fun I had as a young child playing under our large front porch in the dirt, and how much these kinds of toys can create so much fun. 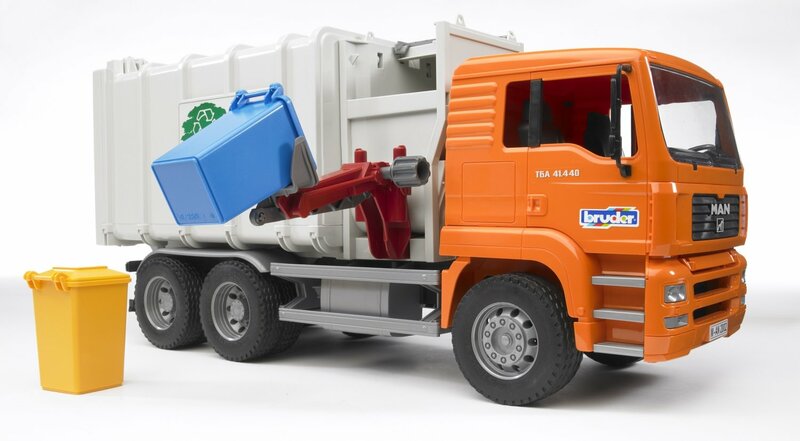 There is just no end to the imaginative play that these Bruder Toy Trucks will create for your child! Bruder trucks are the best toys for 4 year old boys! The Fisher Price Grow-to-Pro Baseball is so cool for little boys and girls. It’s for those who just love the game of baseball. The batter trainer has sound effects and an arm that automatically loads the next ball. 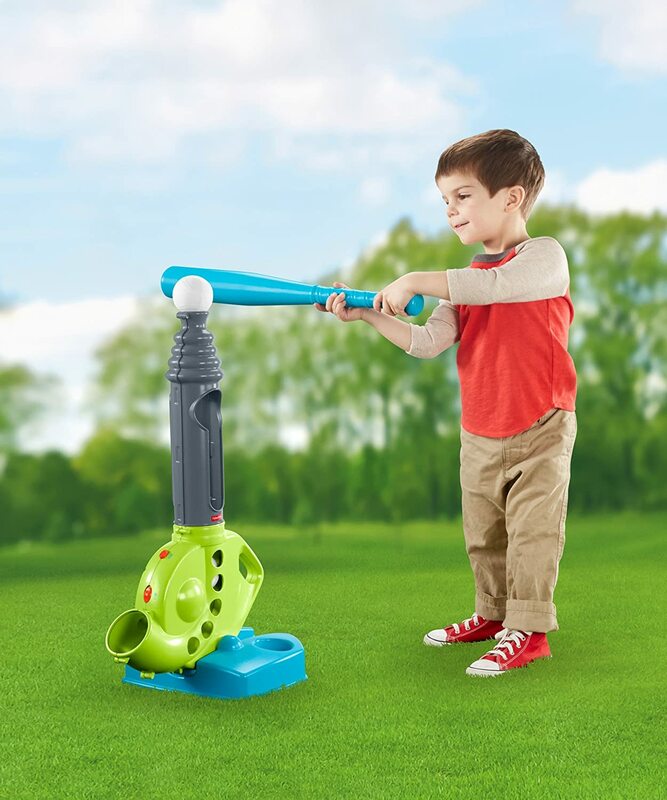 ​It makes learning to hit the ball so much fun, and has baseball chatter sound effects & music. We just love the Grow to Pro Baseball Set. 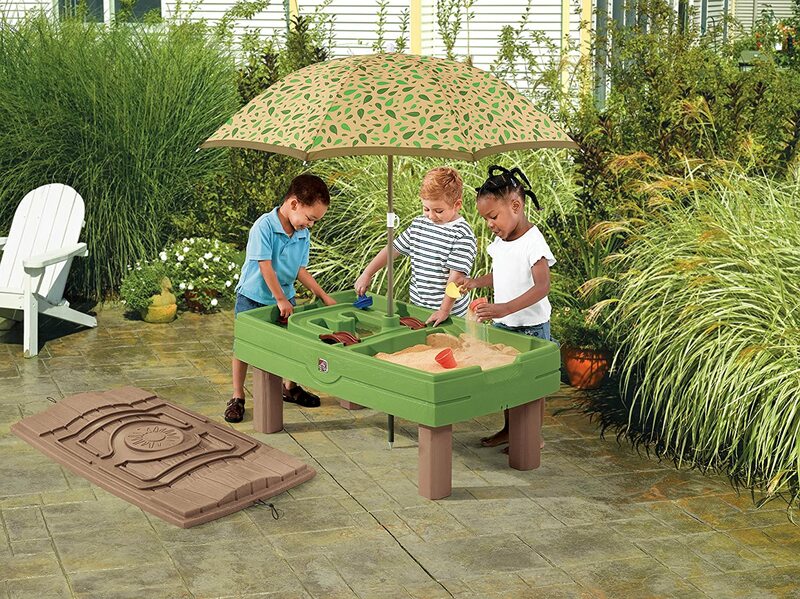 This water table has been a huge hit in the neighborhood, for kids of all ages! This table gets used so much in the summer, spring & fall months! 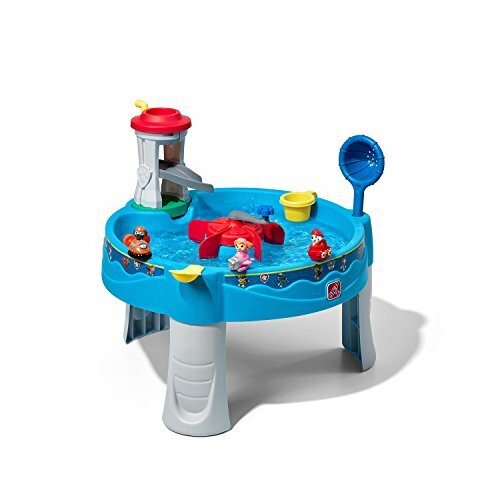 ​The kids just love dumping buckets of water into these fun Water Table for Kids and watching the water run down. 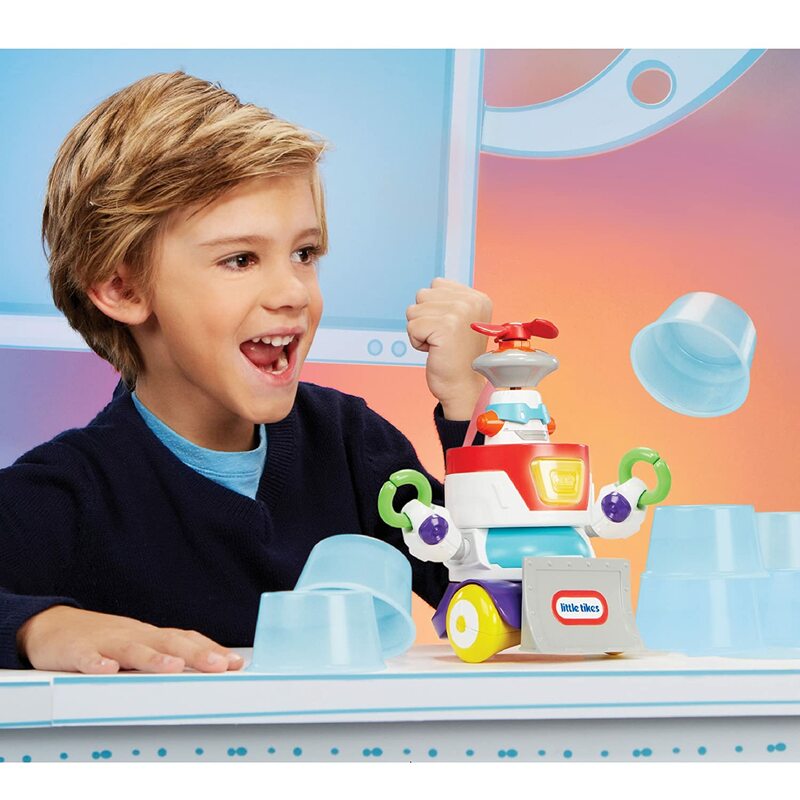 These are great toys to give as gifts to boys age 4. 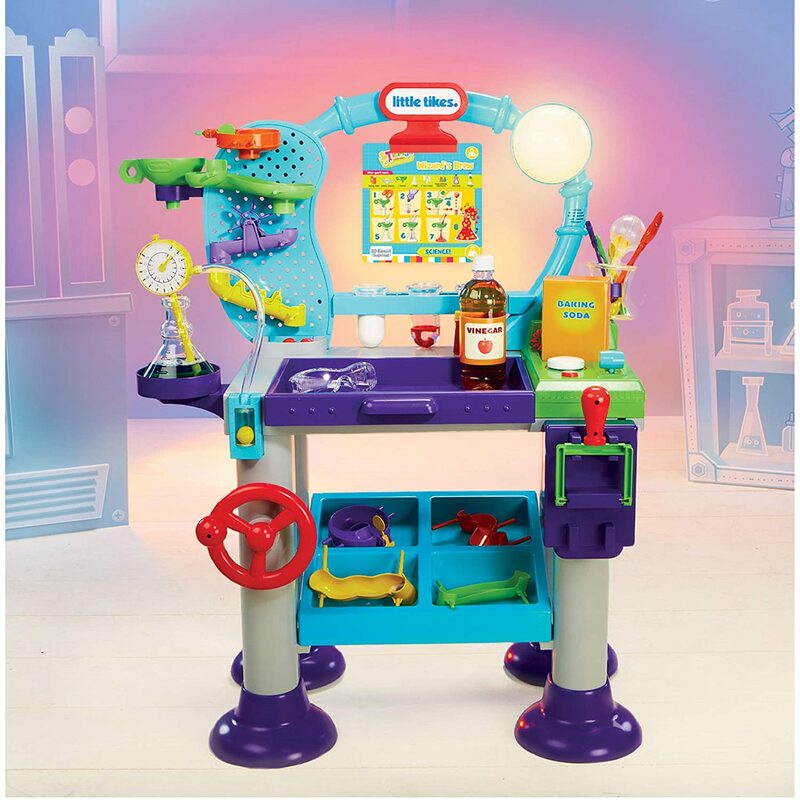 Having to shop for so many small kids in the past I feel that a toy should not only be one that creates fun, but also, be one that creates educational and learning experiences as well. That is why I have put together this group of toys to share with you, and some great ideas on some of the best educational toys I have found on the market today. 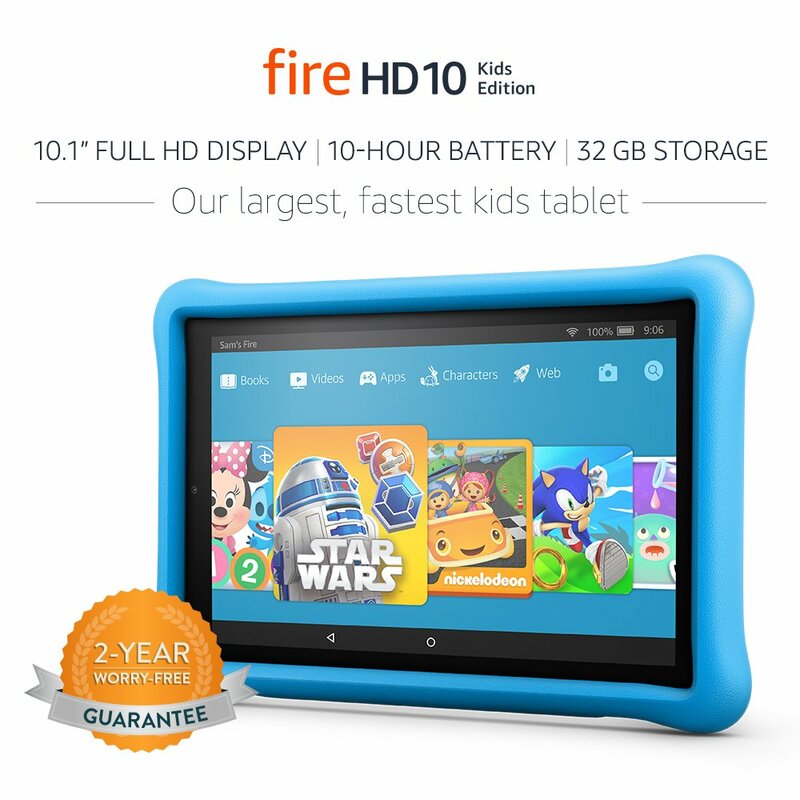 ​​What we have found to be great is the Amazon Fire Tablet. Our kids love this! 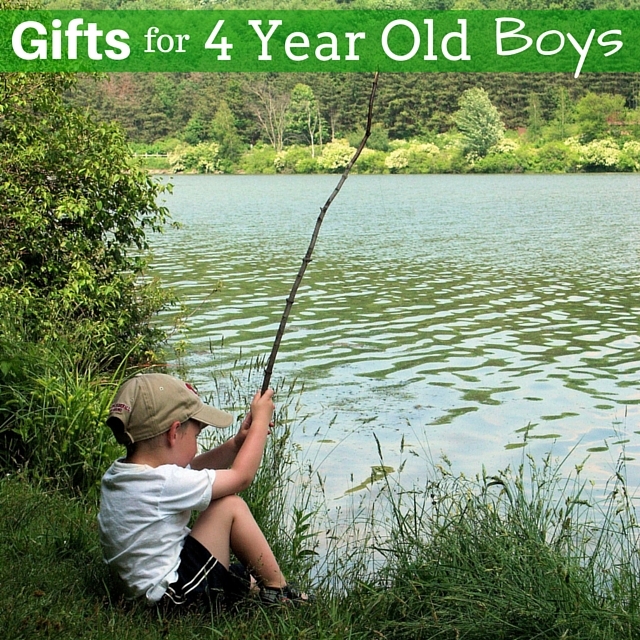 FIND MORE 4 YEAR OLD BOYS GIFTS!